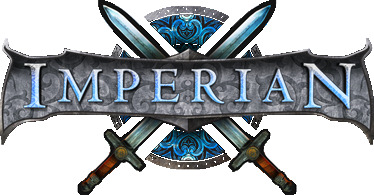 With the transition to Imperian being free I thought I'd take it a step further and help those wanting to play the game, be able to play the game regardless of their ability to code. That being said, I'm going to be offering my system. It's purposefully had a plethora of things that I use removed, because of... Reasons. That said, it's also really only 'fully functional' for classes I use. That also being said, I'm not entirely averse to adding 'full' support for other classes. I will be including some notes about that below, however. I highly encourage you to read it, before you decide to message me. If it is obvious that you haven't, then I will just delete your message without a response. If it's posted in reply in this thread, expect it to be ignored. Now then! Onto the system itself. Download below, and install via the package manager. Login to the game and type 'slinstall' - this may require a restart both before and after installing. There's some errors apparently, if you're not using "my version" of the system. Follow the few on-screen prompts that follow. Note: when it asks about your separator, that's the thing that's set with CONFIG SEPARATOR- not mudlet's. Make sure it's set before you go about installing. Do the above installation first. After you're sure the above is settled type 'mlinstall' and follow any on-screen prompts. Note, not all classes have their own script for it, just assassin, berserker, outrider and hunter I believe. So if you're not one of these classes, don't use the 'class' option when it asks what your bashing attack is. If you want something added, give me an incentive to do so otherwise continue reading. As you walk around, you might notice echoes saying 'area was added' - this is nothing to worry about, it's just the basher picking up a new possible area. Type 'mlshow room' and then click the name of the mob you want to add. To change the priority of mobs, use 'mlshow area' and follow the on-screen text. To start bashing, simply type 'mltoggle' and begin moving around. If it doesn't bash, you didn't follow instructions. For defences. This can be tricky, PLEASE READ IT THOROUGHLY. THE SYSTEM DOES NOT HAVE DEFENCES PRE-BUILT INTO IT. I WILL SAY THIS NOW. FOLLOW INSTRUCTIONS! Now onto making a defence list. Do 'slconfig create <name>' -- <name> should be the name of the defence list you want to create. 'slconfig create basic' for example. Do 'defswitch <name>' where <name> is the name of the one you just created. Once that's setup, you can now 'defup <name>' to put all those defences up. Read through this. If you ask something in here I will set you on fire. Will you add <thing>. --- It depends. Maybe, maybe not. Does this do combat???? --- To an extent, I've been lazy. Read through the combat stuff. No I probably won't set it up for you. Maybe if you pay me. I'm helping you play the game, not win the game. That said, I know it's not fully fleshed out. I will get around to it at some point. It tracks most afflictions, though. I WILL add class attacks and what not, if you give me the lines and such for them. I'm not made of money, so I only have a few classes actually tracked by it. DIS HAV BUG!!! --- That isn't helpful. I also won't guarantee I'll fix every little thing that may crop up. I said it was a barebones system; it's why I stripped a lot of it down. I provided systems to people in other games for years, I don't want to deal with people demanding my time to cater to them. Why call system that??? --- Because. Why do you use so many question marks? This thing isn't working??? --- Then you probably didn't follow the instructions. I made sure it was all working on a blank profile before I uploaded it. Autobashing??? --- Kind of. Use at your own risk. The foundation for it is there, I'm not telling you how to manipulate it, though. I didn't remove it when I uploaded it, because it'd break a number of things that I didn't feel like rewriting. Stop being lazy and control your bloody character. Fishing??? --- No. Make your own, it takes like 4 triggers and an alias. GUI ??? --- I'm beginning to think you don't know what the term 'barebones' means. Get some help. I think that's about it for now. It's late, and I probably missed one or two things. Read through the aliases and stuff, you might find an answer yourself. --I found a bug that can stop it loading properly, if you relog after installing the basher.. I'll have that fixed tonight.. So, I decided to write a GUI up since I plan to be moving to using this myself in the coming days... All of these things I add are going to be optional addons entirely separate from the system itself, though, in case people want to do that stuff themselves. Here's what I decided to go with, undecided on what to put in the blank space yet though. I may make a separate thread for all the addons I end up making, and keep this one free for updates I make to the system itself. It'd be pretty cool if you had a quick desc of what the system can do for newbies to see right away. Elaborate. I think I explained what it does already. Yeah, but it's not newbie-friendly. For the True New, the need for things like 'bashing targets' and a 'defense manager' would seem so abstract. Playing Imperian using the Mudlet client can seem boring, because let's be honest, barebones Mudlet really is bland! 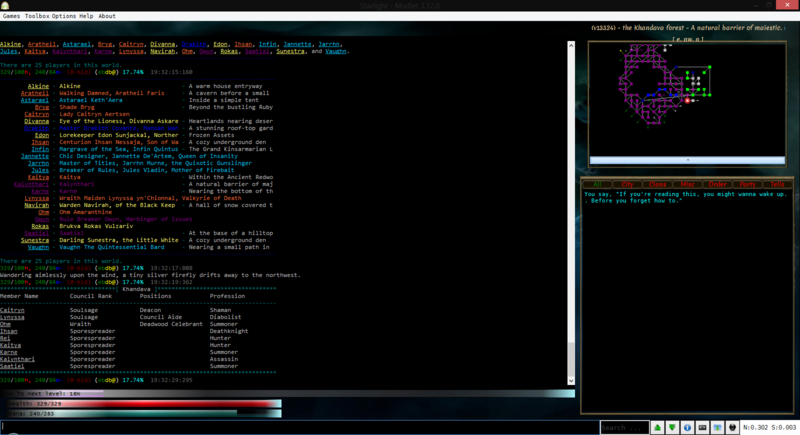 But don't worry, with a little magick called Scripting, Mudlet can be just as exciting as the homegrown Nexus client! * Map Window - Mudlet does have mapping functionality, and with this system, the map is conveniently placed on the upper right corner of your window for easy navigation. * Chat Window - Between the walking, the descriptions, the bashing, and the like, Imperian can get spammy and things could get lost. Thankfully, with a Chat Window, communications received via CT, TELL, GT, SAY, and the like are pulled up and displayed again for easier reading! * Bashing Targetter - There are a lot of things you can hunt in Imperian, and sometimes it's tiring to switch between 'dulcea', 'nymph', and 'wolf', for example. With a Targetter, you won't have to switch so much between them manually. * Defense Manager - While the in-game Autocuring system does have a general defense manager of its own, it isn't able to put up all defenses (particularly, specialized ones found in guild skills). This system can, however, with some configuration! wow that gui looks cool.